Hi! 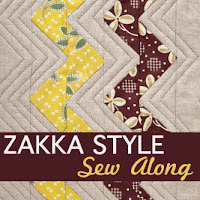 Welcome to Week 6 of the Zakka Style Sew Along!! 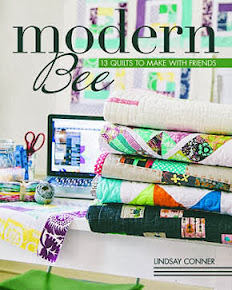 If you're new, this Sew Along is the brain child of two friends, Lindsey and Amy. They rounded up a team of bloggers and together we are sewing through the book, Zakka Style by Rashida Coleman-Hale, one project at a time. Oh, and there are prizes when you finish up a project and link up! You can join anytime. If you are already following along, are you having fun with your projects? So far I've only managed to make the Zigzag Tote, but I can't wait to make the Orchard Path Tweed Pouch and the Patchwork Pot Holder. 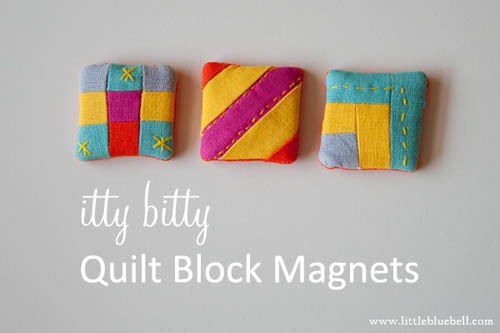 Today I'm going to show you my version of the Itty Bitty Quilt Block Magnets by Nova Flitter from the blog a cuppa and a catchup. I remember when I first saw these cuties pop up on flickr. Nova made a batch for a swap she was in and I was smitten immediately. I mean come on! They are so cute!! I started with one block to test out the pattern and I quickly made two more. They were like chocolate kisses, I couldn't get enough. One thing I cannot overstate. When they say Itty Bitty, they really do mean teeny tiny! The finished size is 1.5" x 1.5". That is shorter than your pinky finger. The best advice I can give to you is to follow the pattern as written. It's laid out very well in the book. Some of the pieces you cut are smaller than 1". Eep! My kids were home with me the day I worked on these and they really wanted to help. They are 4 and 6 and it took a minute to figure out their jobs. I printed off some over-sized graph paper so they could color the patterns in. 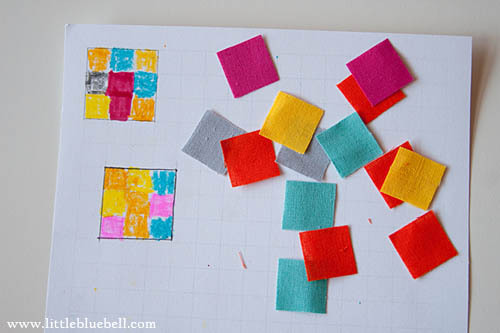 While they colored, I cut squares of fabric for them to arrange. Then I sewed them together. Both of them were really into it and it was fun to work on it together. Before you get started on your blocks, I have a few tips to share with you. Tip #1: Starch is your friend. Seriously. You will be working with itty bitty pieces of linen. If you stretch your pieces even a smidge, it looks like a lot. I used Essex (a cotton/linen blend) and starch and it was still tricky getting things lined up. Tip #3: If you make the string block and you use a paper foundation (as recommended in the book) shorten your stitch length. Every machine is a little different. I changed mine from 2.5 to 1.2. This step will make it much easier to tear off your paper pieces. Tip #4: This is actually in the book, but I am repeating it. Test you magnet to make sure it works and is facing the right way BEFORE stitching it closed. Before! Ok, I feel better. Now I know you won't sew it backwards like some people I know. Ahem. Yup, that's not all! 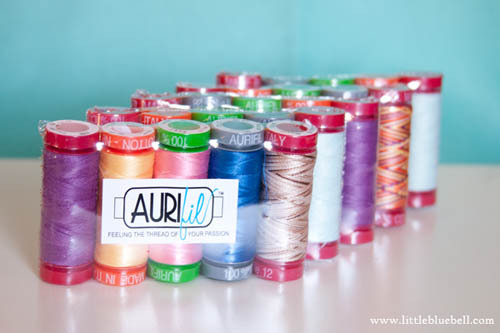 Aurifil generously gave me five packs of thread to giveaway to my readers!!! Five winners will be randomly selected on Friday, May 11, 2012. Winners will be contacted by email, so if it is not visible in your profile, please add it to your comment. International entries are welcome. 2) If you are a follower please leave a second comment. I love you guys!!! 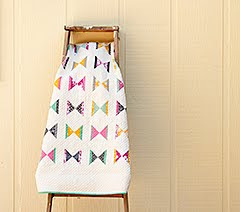 Thank you so much to Lindsey and Amy for putting together this fun sew along! And a big THANK YOU to all of the sponsors for making it possible. Your itty-bitty magnets are absolutely adorable!!! I wonder if I can dig out some time this week to make a few? And thanks for the chance to win the thread - yum!!! I can't wait to try these cuties! What a cute idea. These are adorable. I wasn't sure if I was going to do this project from the book, but having seen your lovely magnets, I think I will have a go. These sure are cute, but I don't think my fingers can hold something that small.LOL! Thanks for a chance to win the thread. Thanks for the tips on this weeks project. Very cute! prettiest magnets I ever did see! These are so adorable! Would love to try out some Aurifil. Your magnets are so summery and fun! I used plaids and natural linen so I think I may go make some more. I need stronger magnets though - the .8mm thick sheet (I think that's what it was) I purchased just isn't strong enough. 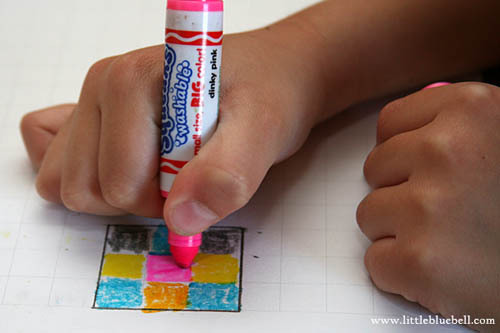 How fun is that, that your kids helped you designing the color scheme of your little magnets! Those are so cute! And I could definitely use them. Thanks for the chance to win some awesome thread. those tiny magnets are adorable! Thanks for your project, enjoying the sew-along very much! Those magnets are as cute as can be! Thanks for sharing them with us. I would love the chance to try some Aurifil thread. I have heard so many wonderful things about it. The drawing is on my birthday, so maybe I will be a lucky winner. I am VERY happy to be one of your loyal followers. I love your blog!! great/helpful post - thank you!! Love the ones you made. I'm a new follower - glad to have discovered you! What a great way to get your kids involved! They are so itty bitty cute and colorful. I'm a follower - and a fan ! i would love some thread to try out! and thanks for the tips! The magnets are very cute! Are you going to market?! We really need to meet up there. Your magnets are cute. I love itty bitty piecing. So adorable! I love the tiny piecing. Adorable magnets, thanks for the helpful tips! I love your itty bitty magnets! This is my favorite thread, my fingers are crossed! Love your bright bitties. I used 1.5 stitch length on all my seams. I haven't finished, but hoping the seams will hold when I turn them. My machine wanted to chew these tiny things up when I tried to back stitch. Thanks for the extra tips. I have been wanting to make these. Those magnets are seriously cute! Love them. Thanks for the chance to win some thread. Your magnets turned out WAY cute and I love the way your kids were able to participate! Adorable itty bitty magnets Adrienne! Your magnets are too cute!! Your magnets are so sweet! I had a right pain getting mine together and wish I'd backstitched at the end of each row as they split when i turned them through. I finally got them stitched up (major pain) and the magnets don't work! They are facing the right way but they're just not strong enough. I thought it was just me! My magnet sheets were really weak too. And so much thinner than I remembered. I bought mine from the office supply store. I ended up using four layers (instead of two). Now I'm on the hunt for some of those flat disc, super strong magnets to try. Or maybe something more industrial from the hardware store. I keep a lot of papers (school lunches, coupons, calendars) on my fridge and my magnets need to be heavy duty!! If I find something good I'll let you know. Oh my goodness, so cute! 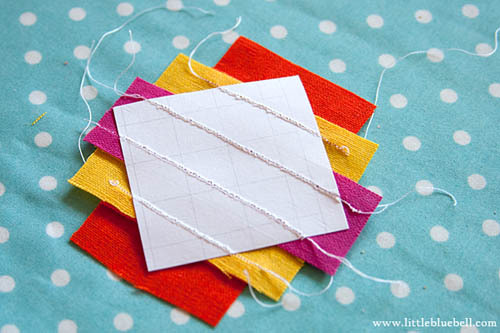 I love the bright colors that you are using for these projects. I'm a follower, so sign me up for some thread! I'm not so sure about this project as it seems really teeny-tiny and my sewing machine has a tendency to eat small pieces of thread. That said, yours are GORGEOUS! Love that you involved your little ones. I'm a follower and would love to try that beautiful thread! Wow...these are super teeny! I'm anxious to give them a go, though. Yours are so bright and fun! I'd love to win some of this thread to try! Your magnets match your zig zag tote. So beautiful with the bright colors. I have ideas for that lovely thread! Thanks for the giveaway. It'd be great to try out this thread. Your magnets are charming! Thanks for the giveaway - I'm a new fan of Aurifil. Your magnets look wonderful and bright!! I missed last week and really want to do these, but I am slightly wary of their tiny size and my sausage fingers!! 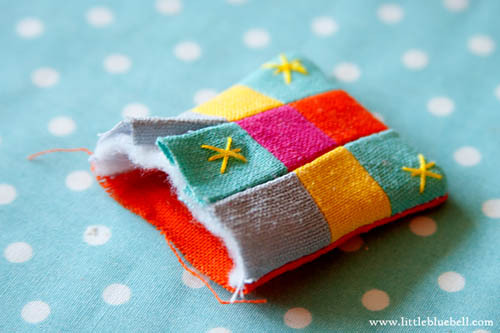 I am a new follower and am really pleased to have found your blog through this sew along! Such cute magnets! I've GOT to make some! Your magnets are so cute! I also love how you included your kids - great idea. Thanks for the giveaway. Such sweet little magnets! Not sure I have the patience for such bitty things, but they sure are cute! I think it is neat how you involved the kids! Itty bitty kiddie magnets. Love these little magnets. I'm making some tonight! Those are so adorable and need to get busy making mine! HELLO! SUCH CUTE LITTLE MAGNETS! The magnets are so cute. HAPPILY FOLLOWING YOU ALREADY VIA GFC+BLOG LOVIN'! Thanks for the giveaway. Looks like great thread! Love your approach to the magnets! I love the colours - very Zakka. I also found them to be quite tricky. I did come up with an easier method for the nine-patch though which saved quite a bit of fiddling around. Cute magnets! I would love to enter your giveaway! Love your little tiny magnets- such tiny pieces. I'm considering making the pattern larger and making these coasters instead of magnets. I love your colors, perfect for springtime! Thanks for the chance to win! Those little magnets are just darling. Love your magnets! Would love to try some different weights of the Aurifil thread. I've been using it to piece for about 6 months now & love it. Next I'm going to use it to do the quilting on a couple of baby quilts I've finished that need quilting. Thanks for a great giveaway and the tutorial. I love these little Magnets! The possiblities are endless! I need to give these a try and if i guess correct they will be addicting! I can see making little magnets for each occasion: birthdays, Easter, Halloween, Christmas etc! I have never heard of this thread so did a google search and found it's website! Interesting! 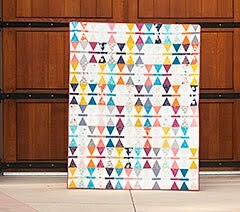 I am a new quilter and would love to give it a try. I see there is a shop that sells it not far from me..I see a day trip in my near future! lol Thank you for sharing. I love how you got your little ones involved! Perfect! I am a follower and love your blog/site! Has to be one of my favs that i look forward to seeing in my in box! Much inspiration, for me for sure! Thank you! who doesn't want aurifil threads!! 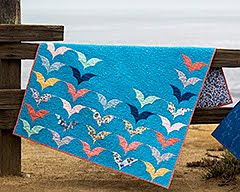 Some days I feel like the only quilter on the planet who hasn't tried Aurifil yet!! Please oh please pick me! I want to be one of the cool kids, too! I was already following you on Bloglovin', sweetie! Those magnets are wonderful, my book arrive last Friday so now I can join in on the fun. 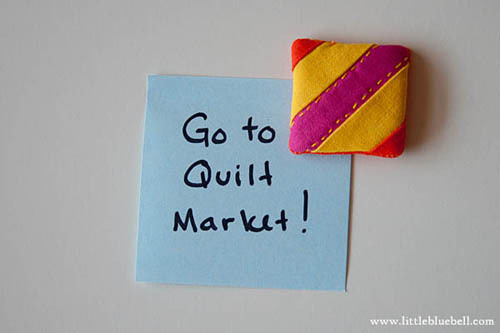 I'm also playing "catch up" with the Zakka Sew Along projects but just might jump the queue and make some of these cute magnets - what a great idea! I only have a small selection of Aurifil threads as they are difficult to find here in Australia, thanks for the chance to win some! Just joined your cohort of followers. I would love to try some of this thread that everyone raves about. They look like great fun! I bought the book but as yet have to join the sewalong... time just flies! Gorgeous magnets, don't need any more magnets on my fridge though. I've been a follower for a wee while now. Super cute magnets! I just moved into a cubicle at work that has magnetic walls - this would be a great way to incorporate some quilting! Cute magnets! I'd love to win too. Gaaah CUTE quilt magnets! Clever! And I LOVE Aurifil thread! I only own one kind, the thinner kind for piecing, in creme - but I love it! I'd kill to have a plethora of colors to choose from! Thanks so much! Ooh, these magnets are really cute. I'll have to make some now. I've really been looking forward to this week! And I just LOVE that you used such colorful linens! Great job and thanks for the tips. Love the bright linens, the carrot really pops! I really need to get my hands on some more of that wonderful Essex. 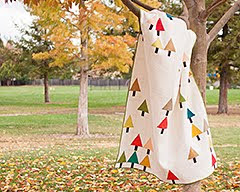 I would love to use some Auriful thread on my next sewing project!! I hear it doesn't leave lint on your machine. These are the cutest little magnets. So tiny they blow my mind. I'm also longish time follower. Those magnets are far too cute. Thanks so much for the giveaway! i love those little bitsy magnets! so cute! Oooh, please enter me in your giveaway. Thanks for the chance. Thanks for the giveaway chance! The magnets are adorable!! Your magnets are awesome! I think I coul manage the string block. Love them! Thanks for the giveaway! I am already a follower, thanks! I am a follower and appreciate your comments and show and tell..
Those little quilt magnets are DARLING. You must have a lot of patience to be able to sew such small things!! I would LOVE to win these spools of thread. Thanks for the chance. Your magnets look wonderful! Thank you so much for the tip about the spray starch, it REALLY helped. I just finished mine. They were not easy to finish and I gave up and topstitched them. But they're so cute! Oh- and I'm a subscriber. Thanks! Oh love your colourful blocks, and Ive been dying to try some Auriful! 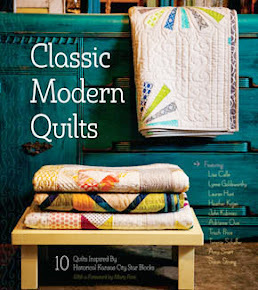 Quilt Market: Kansas City Here I Come!